There's a thing I want to discuss. I am feeling from few days that there are less scenes of Vicky and Rey together. I am a huge fan of Reyansh and Vicky's friendship. I love their rapport as friends. In the early days, we all got to see some superb Vicky-Reyansh scenes. I love the way Vicky cares for Rey's reputation. And recently when Vicky said "why you conceal things from me when I know them already coz we are old friends" after Sharon was mad at all the dazzlers and Rey tried to convince Vicky. But now a days I think there are less scenes of Vicky- Reyansh together. I am really missing their superb chemistry. I missed those days when Vicky- Reyansh used to give us some cute friendship scenes. I still love that pre RDX party conversation of these two. I miss that line 'Tu toh mera bhai h reee'. What do you guys think???? Do you miss their scenes or I am the only one who think this way.. Agreed, but the same can be said of ViHa...the footloose competition took over all the stories. I think we will see more Vicky-Rey with the elections, I bet he will have a lot of dialogue and funny scenes of him supporting his friend. Yeah same can be said in case of Viha. There are really less scenes of Viha too. Not less actually but no scenes at all. It's like cvs have partial Amnesia coz they really forget to give any lead to this story. They've started something and now they forgot about it. 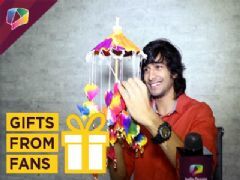 I know...I was happy today they gave some light on Swayam and Sharon romance. Hope they do that for ViHa as well. Maybe this election will create more scenes because they both will be supporting their best friends and fighting with eachother and Vicky falling into the water. yeah I feel the same way. There are more Reyam scenes these days which are absolutely nice but vicky and rey are childhood friends so the frienship they share is some thing cute. In early days, it was very cute to see how Vicky was always concerned about Rey's every action. And ultimately we got to see many funny moments.